Don't fear management's announcement this week. It's good news for Ford stock. While markets had a good day on Wednesday, Ford (NYSE:F) fell 6%. Management warned about disappointing full-year estimates. Sometimes when Wall Street blinks opportunities become available. Ford stock could be one of those for 2019. Ford just merely lowered expectations to just below prior estimates. It’s not like they changed all assumptions. It sounds like they realized that they are falling behind, but not only from a strategic sense. F stock is down 37% in one year, while General Motors (NYSE:GM) was only down less than half of that. The first step to recovery is to admit the problem and it did this week. The good news is that they have plans to get it back on track. This is a proven company as it survived the financial crash 10 years ago better than GM did. Now it has enough cash on hand to right the ship, so it deserves the benefit of the doubt. The company will come out better from this, and therein lies the opportunity. Buying Ford stock now is not intended to be a short-term trade. Those who catch this falling knife now may temporarily see lower prices, but they are in it for the long term. To state it simply, Ford’s warning is good news. Management realizes it has problems, but they have plans to fix them. To that point, Ford stock is cheap in absolute terms: It sells at a price-to-earnings ratio of 6 for the trailing 12 months. This is not counting any upside forecasts — it’s based on actual past data. Technically, F stock is falling back into recent lows. But there is good news to come out from the December crash in the stock markets. The Christmas correction had enough panic selling that it can serve as a worst case scenario for months. The sharp drop scared most investors out of stocks, including Ford. So the lows that we set then should provide solid support for months to come. As a result, I am confident that owning shares here has much more upside opportunity than downside risk. In the long term, this is not likely to be a major financial debacle. Ford has to fix its auto line up, but luckily it has a great truck line up that has dominated sales for decades. This is a good base from which to build a better future in other areas. Furthermore, there are clear trends in the automobile market so it will be easy for management to chase the right ones. Ford will clearly have winners with the Expedition and Navigator in the SUV market. And then there is the electric vehicle area. Much like Toyota (NYSE:TM) did for the hybrids, Tesla (NASDAQ:TSLA) did the hard work of making EVs mainstream. It laid the path for the major brands to follow. This should be an easy addition for a seasoned company like Ford. The experts on Wall Street are wary of F stock. Almost all of them have a hold rating on it. This comes as it hovers just below their average price target, which means it’s more likely that once the repercussions from this week’s announcement are gone, a surprise headline would lead to an eventual wave of upgrades. Meanwhile, they don’t ring bells at bottoms, especially not ahead of earnings. Ford will report earnings in about a week and they may be delivering more bad news. So investors may not yet be done selling it. So I don’t suggest taking a full position all at once. This allows you to leave room to add-in at lower prices if they come. Furthermore, my thesis for the equity markets for the next two weeks is that we may have another dip coming. If that happens, F stock will also suffer. This is not the same as saying that I am bearish on the markets. Even if a dip comes, it would be an opportunity to buy for another rally into the next six months. Click here and enjoy a free video and more of my market thesis and get an ongoing free copy of my weekly newsletters. Nicolas Chahine is the managing director of SellSpreads.com. As of this writing, he did not hold a position in any of the aforementioned securities. You can follow him as @racernic on Twitter and Stocktwits. 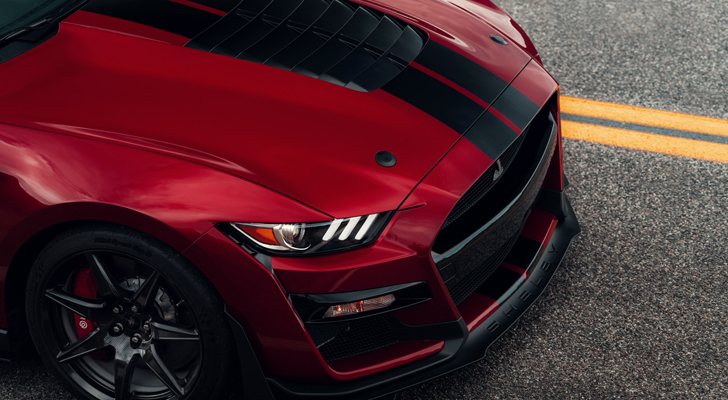 Article printed from InvestorPlace Media, https://investorplace.com/2019/01/wall-streets-hate-toward-ford-stock-made-the-perfect-long-opportunity/.